Here I am, standing at my desk, early January thinking, “How am I going to tackle this new year”. So many ideas for Basket & Bike swimming in my head. So much to do! For so many of us this means not only our work but getting our hearth and home in sync. January is such a beautiful time for deep rest and deep cleansing - and that’s not just my body, that’s inboxes, cabinets, and baseboards, too! With a busy family, (I have two teenage sons; if you were on one of our summer bike excursions you probably met them! I’m so grateful for their cheerful help, and the bit of brawn they lend behind the scenes.) there are calendars to align, menus to plan, camps to sign-up, the list seems endless. Of what I speak many of you know, and many of you feel; this pressing pulse to busyness. Already! If you read my Christmas Missive you know I am planning to follow the sun this year, press a brief pause each day to look for her ardent rays in the sky and on earth. As such, I am looking at winter as nature experiences her. With rest, and planning. But first, I need to express my gratitude to each of you. Thank YOU Thank YOU Thank YOU for a fantastic year of “biking with a basket”, exploring the beauty of Virginia, sipping wine harvested from grapes grown in her fertile soil at Upper Shirley Vineyards and The Williamsburg Winery; all while giving back to Mother Nature through your gifts to local environmental concerns. THANK YOU. As I enter a year in which I turn 50 - whoa YES! - FIFTY, I want to honor the power found in rest. 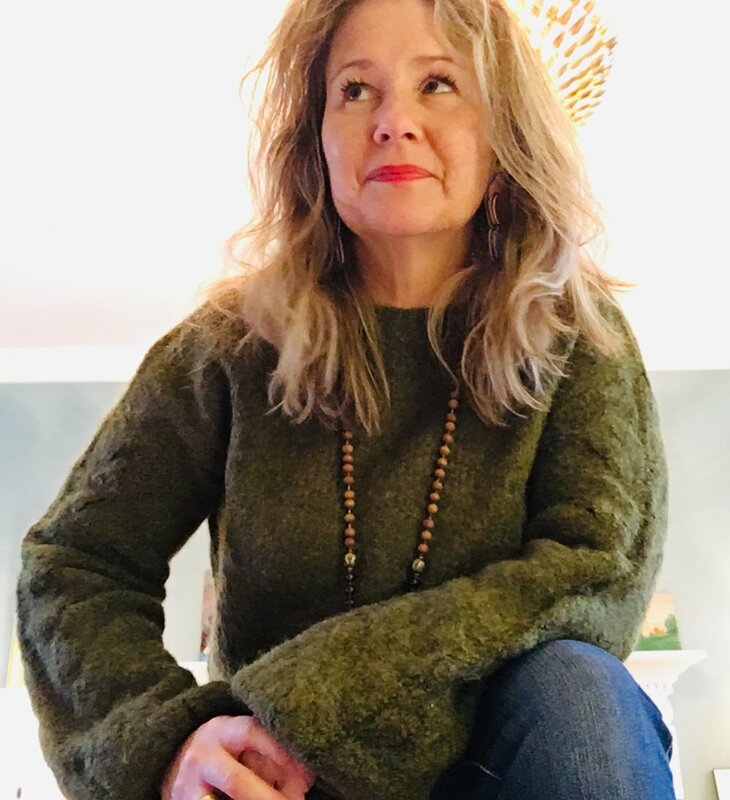 I am looking forward to walks along the river with friends and feeding my body nourishing foods by starting off the year on a 21 day cleanse with my friend and evolutionary wellness healer, Ellen Kittredge. Like a master gardener Ellen is protecting and helping us slough off the old to make way for new health and vitality of self. Her great appreciation of the little pauses in life means she encourages space for meditation, yoga, journaling, being outdoors walking or biking, or simply to just breathe and touch a tree. The release of environmental and emotional toxins can open doors to greater peace and connection with the self and surroundings, the way I feel when I am breathing fresh air out on the Virginia Capital Trail. Rest - or space to rest - will hopefully allow time for more of this, to include writing, and trying new things, like Shinrin-Yoku, or, forest bathing. Check it out if you've never heard of this Japanese restorative practice. 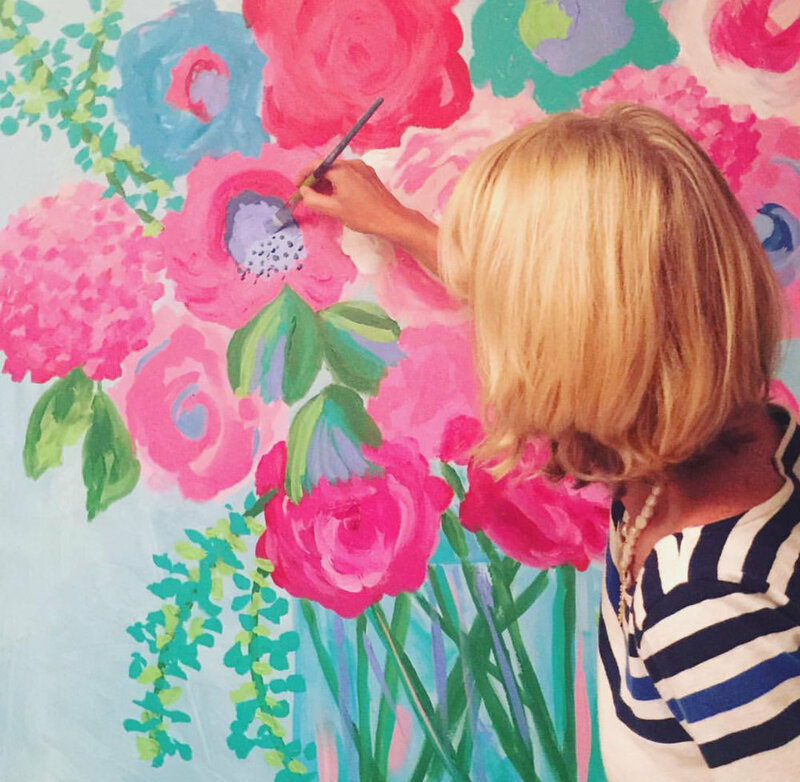 On that note, I’m excited to be stretching my poetry muscles on a collaboration with my good friend, artist Mary Kathryn Woodward, for a joint exhibit of art and poetry at Palette Paint and Home. 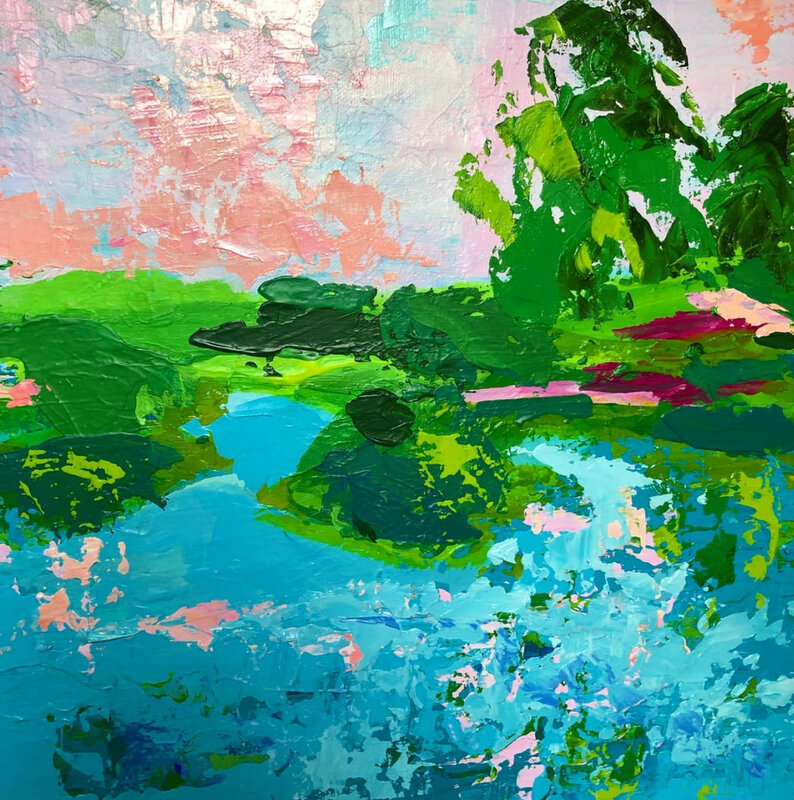 As featured artists during the month of October, Mary Kathryn will be flexing her palette knife and brush this year to create colorful new canvases, and I will release a new book of poetry, a foil to Flight, to coincide with opening night, October 3, 2019. Mary Kathryn and I hope you will stop in to see how beautifully art pairs with poetry. We are very excited about this venture and grateful to Stephanie Snyder of Palette for allowing us to deepen our creative reach. Incredibly, I’ve just completed my third year offering hand-crafted excursions in beautiful corners of Virginia hugging the James River. The images of our truly memorable excursions tell the story of what a day on the bike in the countryside can be for you and your friends, family or colleagues. Our journeys together just keep exciting me! 2019 is here and we have a great year in store. Like the seed that has been nourished in the huddled hibernation of the active soil, I will spring up with you for a bounty of beautiful excursions and events that know only the limits of imagination. As January folds into February expect to see more posts and journal entries to unveil some of our exciting new plans. Click here to send us an email about planning a custom excursion with Basket & Bike this year. This year, I’m particularly passionate about bringing the theme of 1619 into all of our excursions. We will be referencing the 400th anniversary of major events that would shape, a young settlement, into a growing colony. It would mark the dawn of this new frontier of three cultures coming together on the banks of the James River, building lives and a nation. For more about how Virginia is remembering these nascent events turn to American Evolution 2019 and stay tuned to our posts. We encourage you to download the Virginia History Trails App for great content on 400 years of amazing Virginia history. Watch the video featuring Basket & Bike here! 2019 will bring back our favorite Bike & Wine Rides at beautiful Upper Shirley Vineyards, our gracious host and good friends, where you can dine and sip with a breathtaking view of the James, on the veranda or with a private picnic by Palate Picnics. Bike & Yoga will continue, and we’ll announce a retreat with Rose Maghdouri of Shockoe Slip Yoga and her new collaboration, Mindfulness Bar. Excited to stretch east along the Capital Trail, we will introduce custom excursions available starting from Burlington Plantation, and we’ll lead a special tour from The Williamsburg Winery to tour the Tenacity Exhibit at Jamestown. 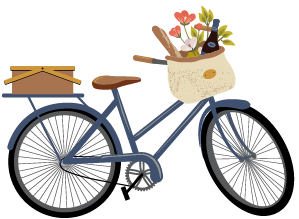 We’ll bring more attention to our in-town excursions by helping Pedal thru Petals, the annual bike ride through Richmond’s gardens held to benefit cancer research, and elevate our Discover Downtown RVA Excursions with a focus on 400 years of Virginia women. And westward we go! We are excited to travel with Palate Picnics and try out picnic rides and retreat options at Mt. Ida Farm & Vineyard, just 25 minutes from Charlottesville and 15 minutes from Scottsville, nestled on the James River. This serene estate in Albemarle County offers a soul-stirring view of the Virginia blue mountains, where you can sip estate wine or craft beer after our bikes take you from the crest of hilltop grapes to the babble of the Hardware River, a tributary of the James. Since Basket & Bike is full throttle all spring, summer, and fall, rest now seems essential. I am convinced though, that taking time to experience life at a leisurely pace, pressing pause, allows rest in all seasons. This will be a priority as we look for mindful ways to connect with the land through our daily habits, such as an encouragement to eat (and drink!) locally, be purposeful in our product choices, and investigate the creative forces brewing inside. In 2019 we'll continue our goal of gathering people to RIDE•SAVOR•CONNECT in the natural beauty of Virginia and experience life at a leisurely pace in this historic year for Virginia. We’ll keep promoting our friends at the Virginia Capital Trail Foundation, the James River Association, VCU Rice Rivers Center, Capital Trees, Bridgepark, and the Virginia Capitol Foundation (new this year). We cannot wait to experience it with YOU while we press pause together in 2019.